Charles and the other gentleman did a great job. They were friendly, courteous, professional, answered questions and did a good job! I recently moved to the south. I was very nervous because I saw what I thought was roach droppings. Terminex came immediately! I called them two more times in the next few weeks. They came within days. I’m crossing my fingers they are gone ! We’ll see . That’s why 4 stars . It’s only been a month!!! Mike is always great and makes me feel better!!! We are happy with our service. we were happy w/the promptness of the service. the service man was given the wrong info from the company. however, our neighbor took care of the correction. As a longtime Terminix customer, I always have enjoyed excellent customer service. Arriving promptly, answering all questions thoroughly, providing courteous service—all reasons to remain a satisfied customer. Very pleased with the service provided by Xavier Martinez. He is very pleasant and professional and has been the only person able to rid us of our ant problem. Thank you so much. I am very happy with the service received from Your company. Technician arrived as planned. Installed gutter guards and sealed up crawl space. Technician will come on Nov 30 to install termite bait. Technician has done outside bug and spider spraying. He will do inside service next trip because we have inside house in disarray. Just moved in. Thanks for prompt service. All technicians have been very personable and answered my questions. Technician was professional and was very careful to fully address my problems. Good service. By mistake I paid twice. But today, they called and arrange to refund the amount. The service is excellent and very reliable. The response time to my request for additional service is excellent. Happy overall with Terminix. Only one bad technician over the years. Otherwise very nice and helpful. When I call on them they schedule right away. Pricing very competitive. Brian is great. He is prompt, thorough in his service and very polite. Terrific technician. Like having him doing all our checkups and maintenance work. 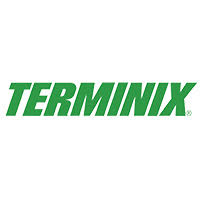 Recently terminix did the treatment for pest control and they they did a phenomenal job. Thank you for the services you have provided. Your employees have been knowledgeable and always perform professionally. Charles was great he stood by his word. Efficient and pleasant staffand work well done in short period of time. I like Terminix service, which is more reasonable than the other pest control. Also, I don't need to call the second time for bugs come back. I have been very happy with my outdoor coverage with the exception of spider web removal. I do not feel that this is being done by my service person. I came home within hours of the service and still have webs on my front porch. Terminex is protecting my biggest investment...my house with Termite control and moisture control with a nice thick barrier and dehumidifier. Thank you! We are very pleased with the last technician that serviced our home on June 25th. Michael and Mary Ann Harris. Every time I have a question or problem they do their best. The terminix rep that has been doing my home on 241 clear river place cary nc has been excellent. The amount of bugs and mosquitoes are so reduced.. He is professional and timely, and does a fantastic job. I would ask for a promotion, but then he would not do my home.. Give this guy a bonus..he's one of the the reasons why we stay with terminix. The service technician is very professional and attends to details. Very satisfied. Technicians are knowledgeable and friendly. So far the service has been very good. Cost is too much for a 90 year old but the service is fine. Service tech was great, ants seem to be gone, thanks! Peter Kannon is the most professional representative that I have met with your company. I need to get back in touch with him in order to consider additional services from Terminix. He alerted me to several issues that I was not aware of that I consider going above and beyond what he needs to do and just plain ole good customer service. I've only been with you for 33 years so I don't want to go to far with praise.